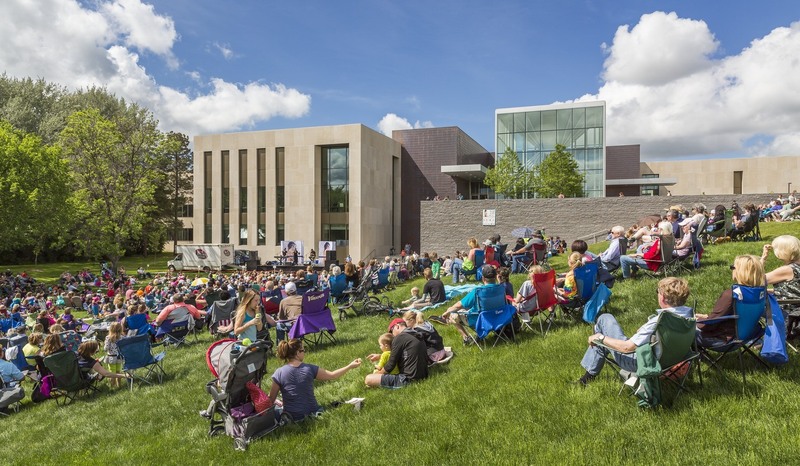 The North Dakota Heritage Center expansion creates a national architectural destination that elevates the State Historical Society of North Dakota’s visibility. The addition nearly doubles the Heritage Center with expanded exhibit/collection space, state-of-the-art research technology, improved public amenities, and additional office and support space. 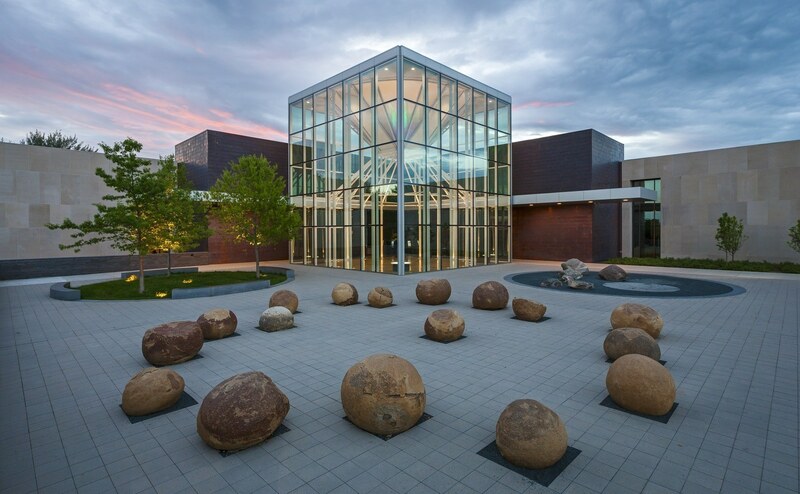 The limestone exterior matches existing campus buildings while the glass-and-steel Northern Lights entrance atrium emphasizes transparency. The entry plaza features petrified logs and glacial erratics. 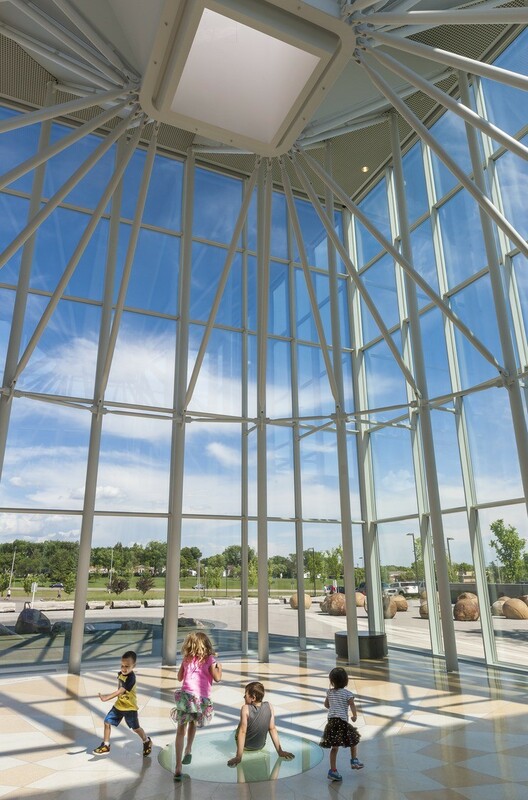 The atrium serves as the physical and spiritual heart of the Heritage Center. 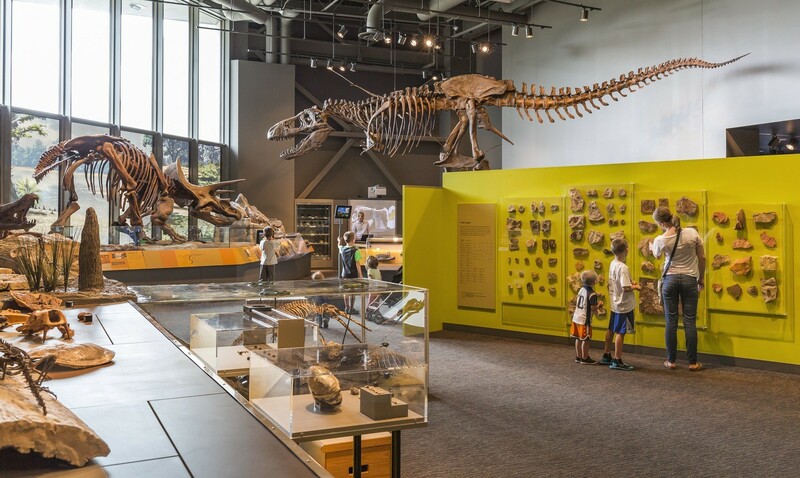 Interior programming includes four primary galleries that highlight the state’s history and pre-history thematically and three additional exhibit halls.